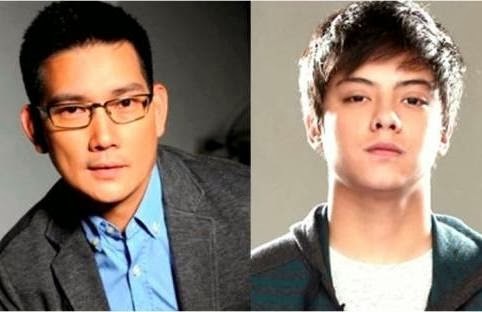 Daniel Padilla has no plans of buying himself a new car even if he can afford to. Not only because aware siyang ’di siya papayagan ng ina (former Regal Baby Karla Estrada), who handles his earnings, kundi satisfied na satisfied daw siya sa kanyang kotseng Black Dodge Challenger, na siya mismo ang nagmamaneho. Matagal daw niyang pinangarap ang magka-kotse ng ganitong brand. At madalas daw, binabanggit niya ito kay Karla. When finally daw ay nakipagkita sila ng mama niya with the car dealer na kukunan nila ng kotse, laking gulat daw niya nang bayaran ito ng cash ng kanyang ina. In an interview, Karla said, pinag-ipunan talaga niya ang kotse para matutuhan daw ni Daniel at ng iba pa niyang anak na dapat, ang bawa’t gusto nilang bilhin ay kailangang pag-ipunan. “Ayokong ugaliin nila ang mangutang o maghulug-hulog ng anumang bagay na gusto nila,” dugtong pa ni Karla. Daniel is working double time on two current projects, his top-rating series, Got to Believe, and the movie, Pagpag, na parehong ang gumaganap na kanyang leading lady ay si Kathryn Bernardo. “Kaya inspired ako sa dalawang projects kong ito,” ani Daniel. “Iba kasi kapag ang katrabaho mo ay gusto mo at kasundo mo. Being a mother herself, Direk Cathy Garcia-Molina (yes, the blockbuster movie director) sees to it na Daniel and Kathryn have a cut-off time, kumbaga, tuwing may taping sila. Alam daw kasi niyang nilalagare ng dalawa ang isa pa nilang project, ang Pagpag nga. A Metro Manila Filmfest (MMFF) entry, Pagpag has Frasco Mortiz at the helm. Fall in love with the magic of Daniel’s voice as he receives a gold record award for his sophomore album ‘DJP;’ while Ser Chief serenades fans with the launch of his self-titled debut album under Star Records. The celebration will keep on going as the whole ASAP Kapamilya throws a grand triple birthday bash for Zia Quizon, Robi Domingo, and Jericho Rosales. Meanwhile, witness the world-class vocal battle of “The Voice of the Philippines” top 8 artists Thor, Janice Javier, Morisette Amon, Klarisse de Guzman, Paolo Onesa, Myk Perez, Mitoy, and Radha, together with the “ASAP 18” music icons Martin Nievera, Lani Misalucha, ZsaZsa Padilla, and Gary Valenciano. Get ready for a mind-blowing Supahdance experience from Iza Calzado, Gerald Anderson, Maja Salvador, Shaina Magdayao, Erich Gonzales, Nikki Gil, Rayver Cruz, Empress, John Prats, Iya Villania, Joseph Marco, Sam Concepcion, and Karylle; together with Saicy Aguila, Aiko Climaco, Sunshine Garcia, and Jopay Paguia. Travel back in time and pay tribute to the music of OPM icon Hajji Alejandro; and prepare for the hair-raising musical ‘throwback’ treat from Piolo Pascual, Erik Santos, Jed Madela, Angeline Quinto, and ASAP Sessionistas. For interested viewers who want to purchase ASAP official merchandise, simply visit the ABS-CBN Store located at the ground floor of ELJ building in Quezon City, or visit ABSCBNstore.shopinas.com and MyRegalo.com. For updates, photos and to hang out live with the stars at ASAP Chill-Out, visit http://asap.abs-cbn.com/, ‘like’ http://facebook.com/asapofficial, follow @ASAPOFFICIAL on Twitter, and know the latest happenings in “ASAP 18” by tweeting the hashtag #ASAPTimeMachine.